Shelve those 3-ring binders. Get organized. Download and play something new in seconds. Designed exclusively for iOS, our clean interface gives you quick access to the tools you need, then fades away completely so you can focus on your music. Annotate, create setlists, rearrange pages, add bookmarks, play along to an audio track, and more with an arsenal of tools to help you turn practice into performance. Every millisecond counts. That’s why forScore uses adaptive caching to help make page turns virtually instantaneous, without ever getting in your way. 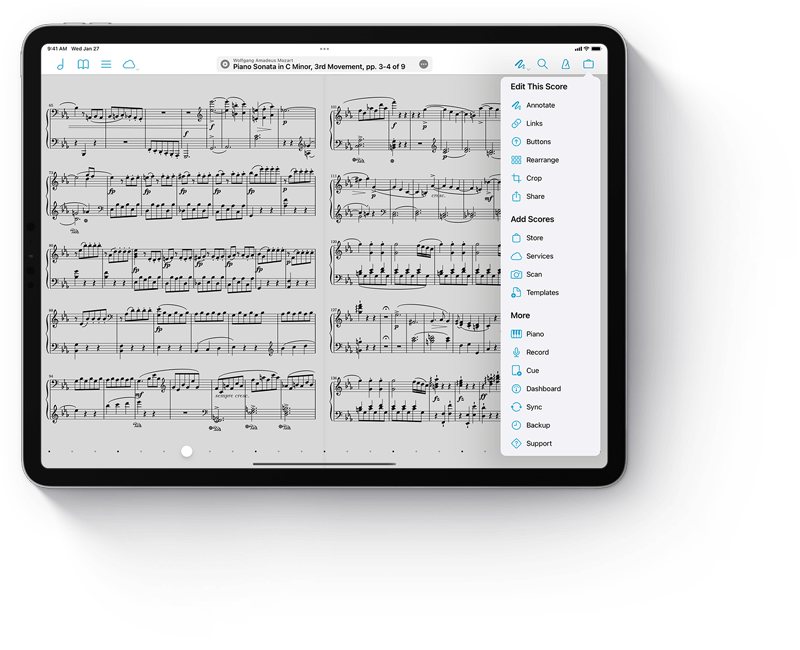 Whether you’re working with the smallest iPhones or the expansive iPad Pro, forScore scales beautifully and fully supports Split View and Slide Over multitasking. Forget files and folders—forScore uses dynamic library organization to ensure that your menu listings are always up-to-date. It’s what you want, not where you left it. Save PDFs from the web, use services like Dropbox and Box, or find something new to play from Musicnotes.com. It’s the world’s library, just millimeters thick. Control forScore with page turning devices, MIDI signals, or use its built-in remote control system to wirelessly synchronize page turns with nearby devices. 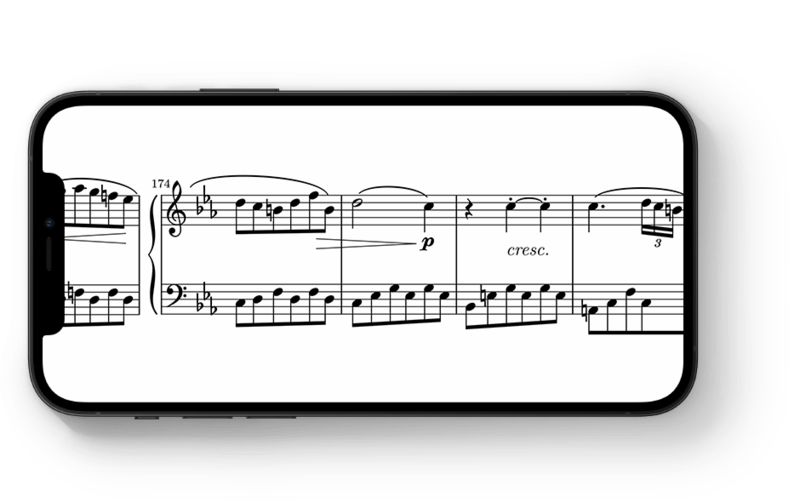 Tap out a tune on the piano keyboard, start off on the right note with our pitch pipe, or track your practice time and set goals. It’s all there when you need it. Available exclusively on the iOS App Store for iPad, iPhone, and iPod Touch. forScore is now a universal app for iPad, iPhone, and iPod Touch, and that’s just the tip of the iceberg. See what’s new in forScore eleven. forScore doesn’t just support Apple Pencil, it was practically built for it. With Apple Pencil, annotating is as simple as drawing. No need to activate annotation mode, forScore is always ready to faithfully capture your notes as precisely as possible the moment your Apple Pencil touches the screen. It’s just like paper, but with an undo button.